An environmentally friendly, lime-based paint which slowly weathers and ages. Patchiness, streaking and uneven colouring develop during the twelve to eighteen month curing period. 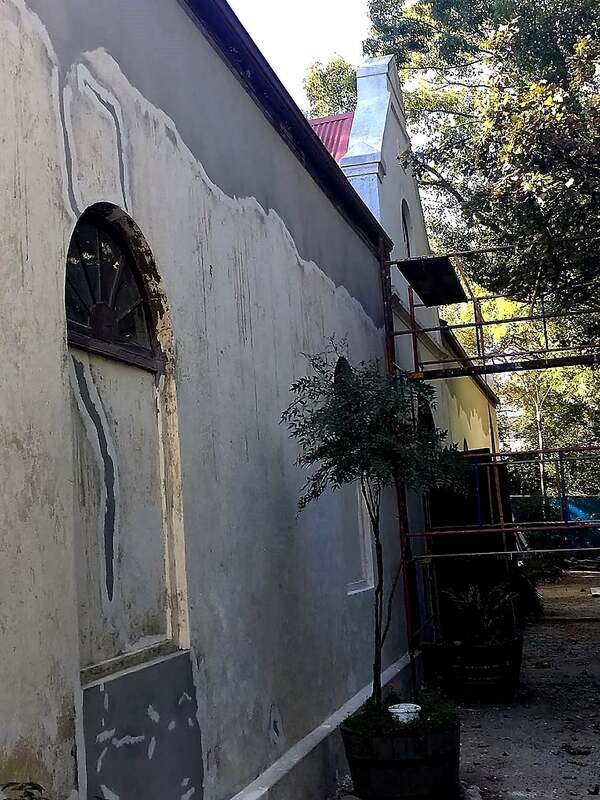 Limewash is typically used on Historic Buildings, old Farmsteads, Heritage Buildings of Typical Cape Dutch Architecture. It is used by Architects that are involved in Heritage projects, old farmsteads that still use limewash to paint their buildings, Asset owners such as Government who own Historic Buildings of significance. 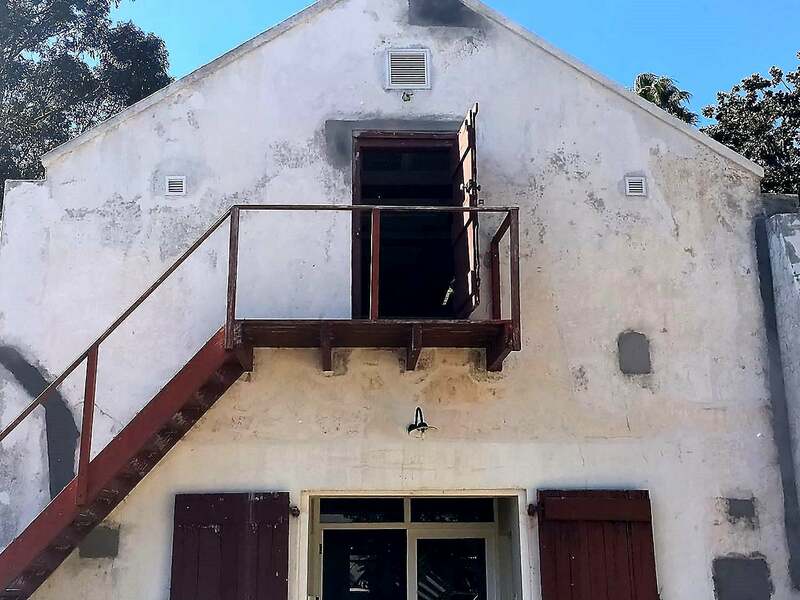 This also includes University’s Heritage Buildings such UCT and Stellenbosch, old homesteads such as Boschendal, Leeuwenhof and many older Wineries and farms. Lightly sand down all surfaces to provide sound smooth surfaces. Clean down all surface dust, grease and dirt. Scrape off all loose material and cement splashes. Rake out all cracks, other than hairline cracks, greater than 0.5mm, holes or other minor defects and fill with a Midas Lime Putty. Repair damaged plasterwork using an exterior plaster repair mortar as recommended. 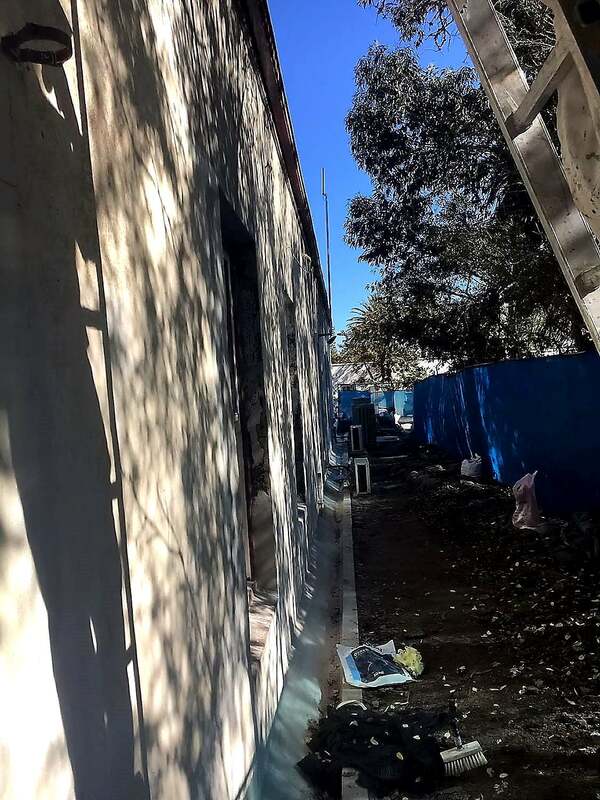 If the walls have been patched and cracks repaired and there are differences in the porosities of the plaster, then apply 1 coat of cementitious waterproofing slurry to even out the porosities prior to the Limewash application. stipulated spread rates, taking care to brush well into cracks, pores and holes. It is important to keep a wet edge and use a consistent brushing technique. Do not stop in the middle of the wall or a dry edge mark will appear. Cut around windows and doors only as you come to them. Allow to dry overnight. Dampen first coat with water by either mist-spraying with a hose or using a paint roller dipped into clean water. Apply a second and a third coat of Midas Limewash SA Special Formula in the same manner as the first. Once the final coat is complete, mist spray for 3 days to achieve full hydration (curing). Wipe excess Limewash (kalk) from brushes and rollers using an absorbent cloth before washing with water. Limewash must be thoroughly stirred before use and continuously stirred during the application process. 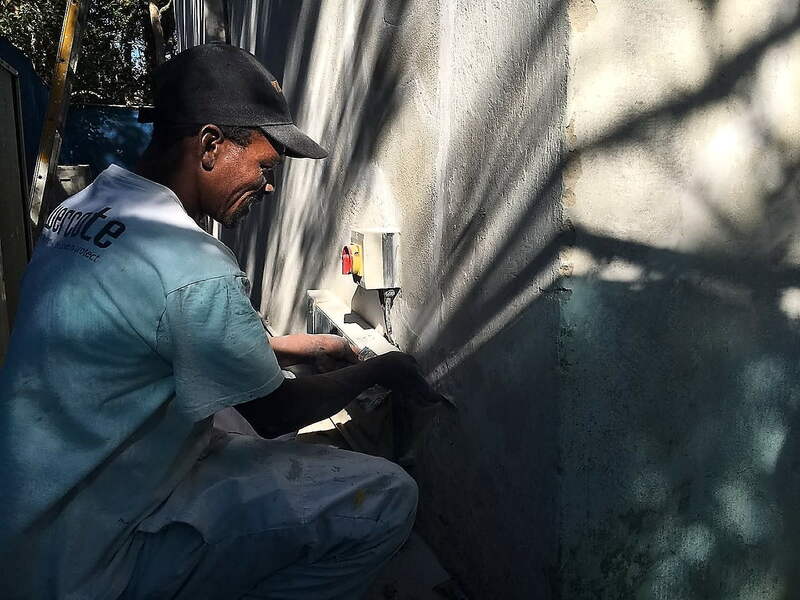 To achieve more constant colour uniformity on newly patched or repaired walls it is strongly recommended that a coat of spot prime coat of Limewash be applied. The wall should be uniformly damp, not glistening wet. Avoid direct sunlight for all works. It is important to allow the walls to breath. The external walls will be waterproofed, after which a breathable finish will be applied. This is standard practice when no dpc is present. Any splashes of Limewash (bluskalk) on footpaths, brickwork, timber etc… should be removed immediately. 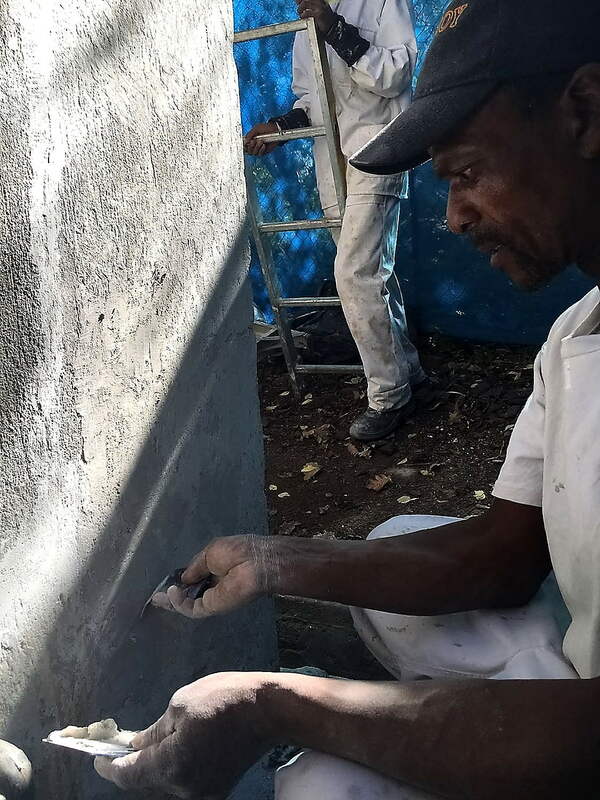 Wherever possible always work on walls that are in the shade. On hot, dry or windy days the surface may have to be re-dampened during application. Walls can be dampened by mist spray with a hose or using a conventional paint roller dipped into clean water. Colour variation can and does occur from batch to batch due to the natural pigments being used. Ensure sufficient quantities from the same batch are ordered to complete the project. On completion of the final coatings keep the walls dampened using a mist spray for at least three days to prevent premature hydration. Only use ‘soft’ plaster mixes to repair existing plasterwork. Apply the Lime wash in strict accordance to the preparation and application specification. IMPORTANT: It is important to ensure that all surfaces are sound and all old coatings are suitably bonded to the substrate as the added weight of new applications of Limewash could cause the old coatings to delaminate. Limewash Pigment is a Glycol-Free Stainer that Midas Paints Tygervalley uses to tint the Limewash and all other Enviro products. Place the order with the experienced sales department. Sales will create a sales order to the specified colour to Midas Paints in-house colour department. Our experienced in-house colour mixers/matchers will plunge the Limewash first before dispensing the formulation. After formulation is dispensed the colour mixer/matcher will plunge the Limewash again and this process will be repeated until the colour mixers/matcher is satisfied that the colour matched. Midas Paints Tygervalley does paint mixing on site. 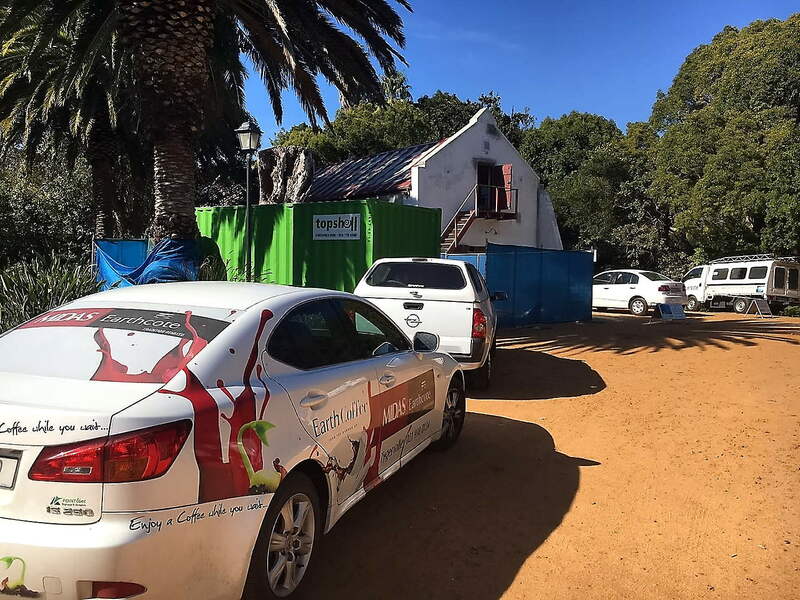 The Midas Paints team providing expert advice at Stellenbosch University. Prepration of the surfaces for limewash bluskalk.